You know that the answer to your question is out there......you know that somewhere on the web is the information you need…..but you just can’t seem to find it! 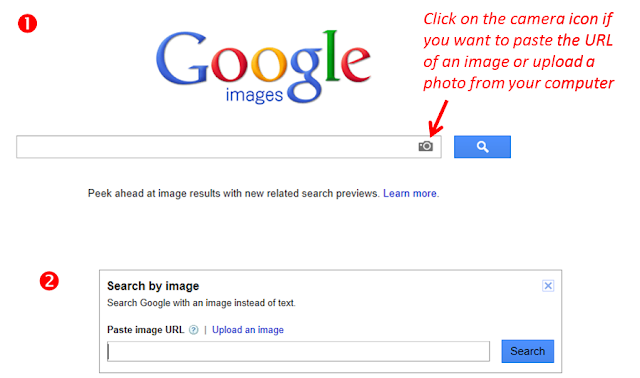 If you’re having trouble finding exactly what you’re looking for on the web these tips may help. With the billions of records on the internet the words you choose when you search can make a huge difference to the results you get. For the best results, start with an obvious key word but add extra words to better describe what you are looking for. For example, if you want to make a photo collage, instead of typing ‘collage’ you could start with ‘create photo collage’, or ‘create photo collage online’. Just use the relevant words for what you’re searching for. For example, rather than searching for ‘big owl I saw in the botanic gardens last week’, drop all the extra words that really aren’t relevant. The information you need is about the bird, ‘I saw in’ and ‘last week’ aren’t needed. They’ll actually decrease your chances of finding the information you need. 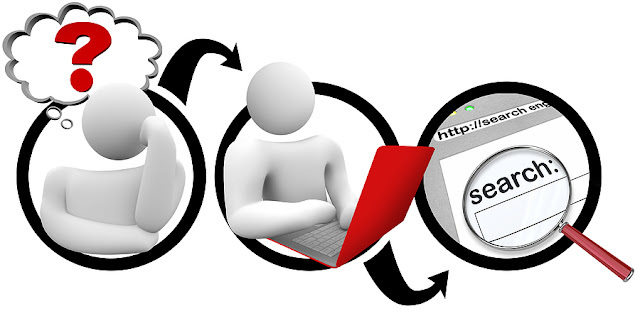 Most of the major search engines will match all of the words you put in the search box. So if you enter the words paint car, the search engine will look for matches for the word paint OR the word car, and not limit itself to websites that contain both words. To improve your search, use double quotation marks around your phrase or words, ie. "paint car". This tells the search engine to find only those websites that contain the exact phrase "paint car", with the words in the same order. Generally, search engines are case sensitive. If you enter your search in all lower case, it will assume that you don't mind whether the matches are in upper or lower case. So if you type the word "apple", matches will be made for Apple, apple and APPLE. Typing capitals, however, will usually only return an exact match. Use the (+) and (-) signs to force certain words to be either included or excluded from your search. You can use a (+) sign when there is a word that is essential to include. For example, if you want to look up information about World War II, you might enter the words world war +II. Leave a space before the +sign, but there is no space between the (+) sign and the word that follows it. Likewise, you can use a (-) sign in front of a word that you definitely want left out of your search. So, if you want to research flower shows, but you aren't interested in the Melbourne International Flower Show, you could enter the words flower shows -melbourne. Make sure you leave a space before the minus sign but don’t leave a space between the minus sign and the word that follows it. 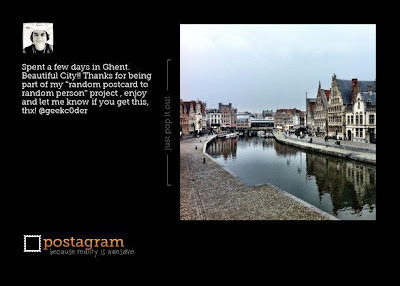 If you’re searching to find the answer to a question, or how to do something – then ask the question – what, when, where, why, who, how……how to make a photo collage in Picmonkey – where is Ouagadougou – what is the deadline for 2011 tax returns. This is really useful if you want to find a similar photo to one you have – maybe a different angle, or a similar theme. If it’s an identifiable landmark you’ll also see text results about that location. If you type define: at the beginning of your search you’re telling Google you want to know the definition of the word or phrase. The results are not dictionary-based; they are as they are used in writing on the web. If you want news on a specific topic visit news.google.com and enter what you want to know about in the search box at the top of the screen. Google will present you with a list of news articles on your topic, but from different news sources. For just Australian news try news.google.com.au. These two sites are also great places if you just want to see the latest news. My mother has kept almost every card she has ever received for birthdays, her wedding, anniversaries, my and my sister’s birth and just about every other event in her life. Some of these cards are over 80 years old and they are some of the most beautiful cards I’ve ever seen. Even the telegrams were decorated in those days. You just don’t see cards like them anymore. Or do you? 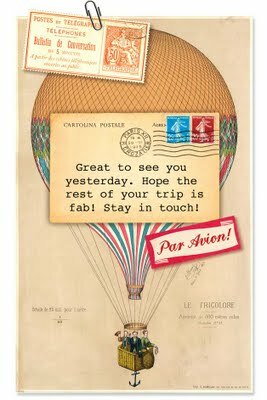 Maybe not in actual card form, but with the Cartolina iPhone app you can send gorgeous vintage inspired greeting cards, directly from your iPhone or iPad. The Cartolina cards are based on actual vintage cards and products. Some designs are over 150 years old. You just choose your template, type in your message and email it, text it or use it to update your Facebook page. 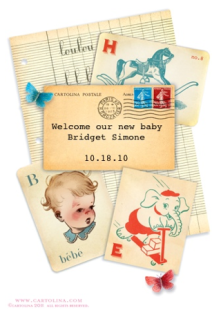 How much more special would it be to receive a beautiful vintage card announcing a baby’s birth than just a regular text message? 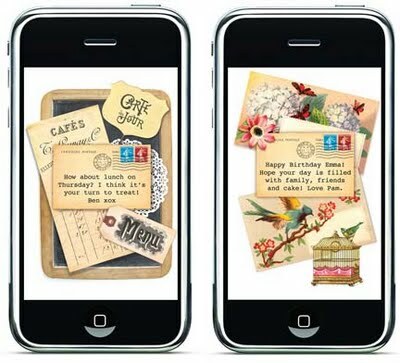 The Cartolina iPhone and iPad app is available from iTunes for $1.99, which comes with 18 designs. There’s also the option to buy a set of nine new designs for 99c. It’s not available for Android yet, but it has been promised. Do you have trouble deciding what to cook for your family? Maybe you’re trying to figure out what to do with the few items left in your fridge and pantry? Here’s a little summary of some apps to help you out. 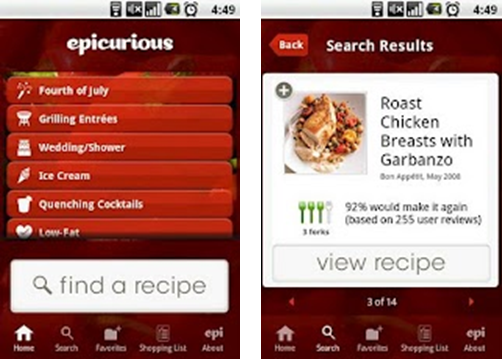 Epicurious features more than 30,000 recipes from magazine like Gourmet and Bon Appetit, chefs and top recipe books. Epicurious has reader reviews, ratings and recommended improvements and you can search for recipes by ingredient, course, occasion or dietary restrictions. There’s 19 great recipe categories - I can barely cook, weeknight dinners, lunches kids love…. You can save favourites to your own personalised recipe box, add ingredients to your shopping list, email recipes and shopping lists to yourself and your friends and get recommendations from other Epicurious users. Tell this app how much time you have, what your basic ingredient is (beef, seafood, vegetables, etc.) and you’ll be given a list of recipes that fit your requirements. 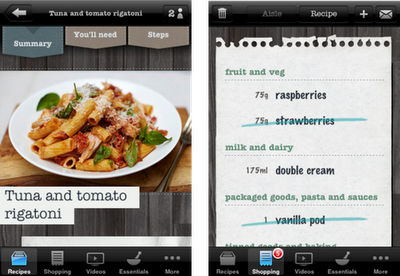 Once you’ve chosen your recipe you’ll get photos and step-by-step directions beautifully displayed on your screen. The best-selling cookbook, How to Cook Everything, is now an app. There’s over 2000 recipes and 400 how-to illustrations, perfect for the beginner to the advanced cook. An easy to use app with clearly marked tabs for ingredients and steps, beautiful photos and kitchen basics videos. One great feature is that with one click you can turn a recipe from 2 servings to 4. 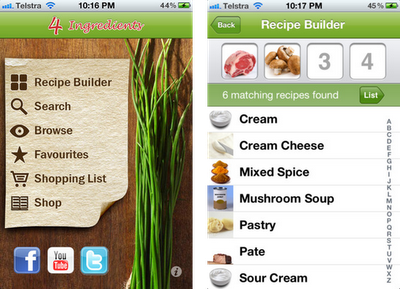 You can also turn your recipes into a shopping list organised by supermarket category. A fun feature is that with a shake of your phone you get a random recipe selection. This app works a little differently to most. You get a ‘starter pack’ of 10 recipes and three videos with your free app. 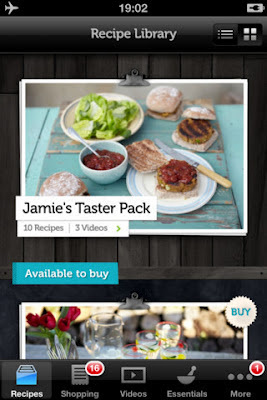 Then you can buy additional themed packs of 10 recipes and some videos for $1.99 each. All recipes include step-by-step illustrations and a shopping list that allows you to cross off items as you shop. Chemical maze is the guide to food additives and cosmetic ingredients. 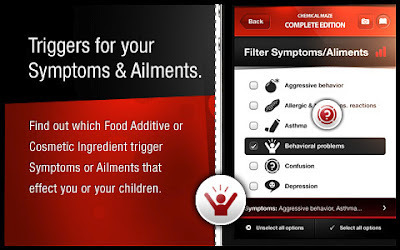 You can filter your search by symptoms and ailments (depression, hyperactivity); dietary restrictions (such as coeliac, lactose-intolerant); effects (malabsorption, immune system); or what the additive or ingredient is derived from (animal, plant, mineral). GM or GMO foods are marked and there’s even an icon to indicate if it’s potentially hazardous to health. This app gives you a collection of Margaret Fulton's best recipes gathered during the past 50 years. It's simple to use, looks good and each recipe tells a story - such as steamed fish coriander from her first trip to China in 1976 or Singapore noodles, as cooked by ''our good friend Onn Ho''. There’s only limited search options, and not by ingredient or recipe, but it’s like flicking through the chapters of a lovely recipe book. 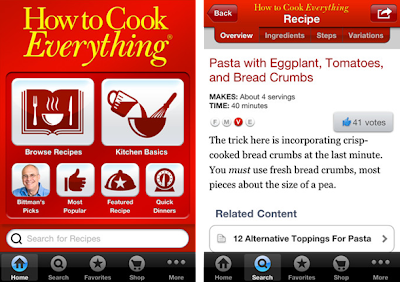 Margaret Fulton also has a Christmas recipe app. 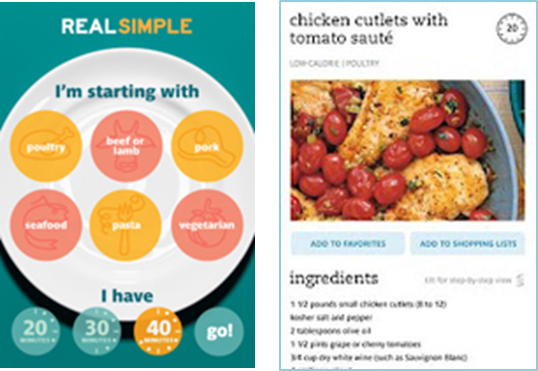 Based on the cookbook series of the same name, 4 Ingredients is gives you more than 340 fast and easy recipes that need four or fewer items. There’s also 4 Ingredients 2, Gluten Free and Kids. 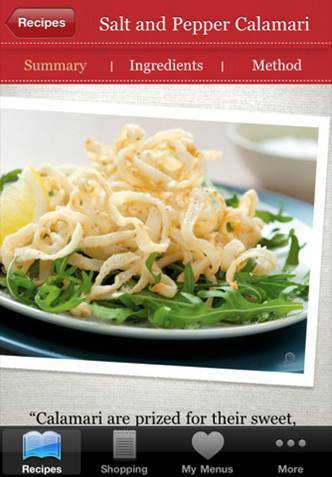 Do you use any foodie apps? I’d love to hear what you think about them. If you follow Sonia at Life, Love and Hiccups, you’ll know that she has a little problem with her computer at the moment. She’s also just discovered that there is some regular maintenance that you should carry out to keep your computer running properly. How could I pass up an opportunity like that for a post on computer maintenance? Whether you’ve got a desktop or laptop/notebook computer, dust and lint can clog the cooling vents. This can cause the components in your computer to heat up, and heat is the biggest cause of failure in computers. Your computer’s brain – Central Processing Unit – is the most susceptible to heat – it even has its own fan to keep it cool. You can do regular basic maintenance on your computer yourself – you don’t need to pay someone else to do it for you. However, a warning – if you are not careful you can damage your computer, and if you really don’t feel confident to do it yourself you can still pay a computer repair service to do it for you. 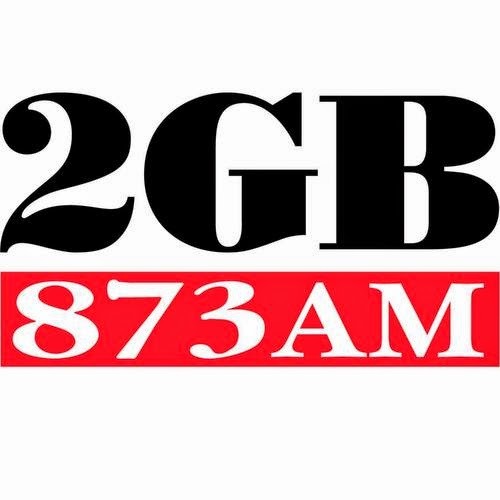 (If you’re in Sydney I can give you some referrals). There’s no vacuum cleaner on that list – that’s because using a vacuum cleaner can create a static electrical charge that can actually damage the computer's sensitive electronics. The only exception here is if you buy a special anti-static vacuum designed specifically for electrical equipment. Important: Turn off the computer and unplug it. Disconnect the keyboard, mouse, speakers, and monitor. I’d also recommend backing up your data just in case something goes wrong - actually you better do that before you unplug everything! 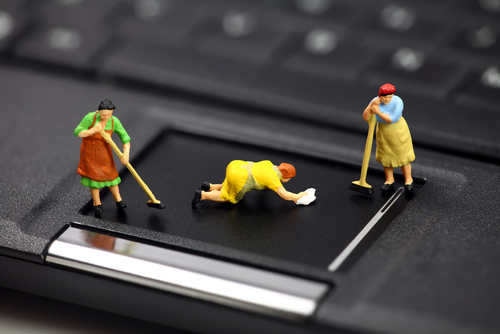 If you haven’t cleaned the computer before I wouldn’t clean it anywhere near your nice clean carpet – outside, or in the garage might be better. Don’t forget the dust mask and goggles! 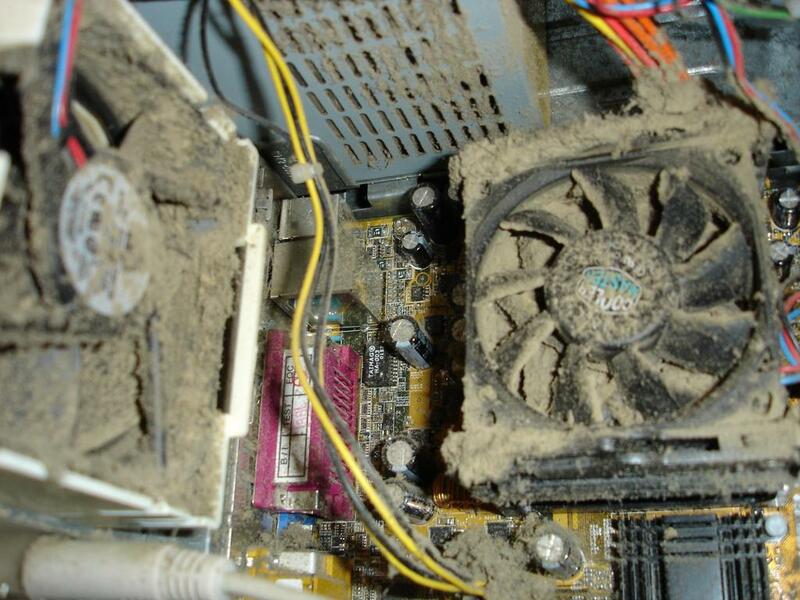 If there’s dust around the vents of your computer there’s sure to be more on the inside. To properly remove the dust you need to open the case. Don’t be scared, it’s not that difficult. First, make sure the computer is turned off and unplugged from any power source. However, check your warranty terms first, because opening your computer may void your warranty. For desktop computers. Open the case by using a Phillips head screwdriver to unscrew the screws on the back of the computer and slide the panel towards the back of the computer. Some computers have hidden screws and clips which you’ll need to find and release before you can open the computer. Check if your computer’s manual has specific instructions for how to open the case. For laptop/notebook computers. Put the computer upside down on a table on top of a folded towel to prevent scratches (to the table and the computer). Remove the battery. On most laptops, the vents on the underside will be grouped on a removable panel, secured to the case with several screws. They are usually very small and may be of different lengths, so make sure you keep track of which one goes where as you remove them. Once the cover is off, try not to touch the inside of your computer - keep your fingers away from cards and cables. You may discharge a static shock to the internal components and damage them. Look for any bits of fluff and pick these out carefully with tweezers or a cotton swab, carefully avoiding touching any of the components. Before you clean the CPU fan, gently stick the pencil or skewer between the blades of the fan to stop it overspinning with the force of the compressed air – it could crack a blade or damage the bearings. Use the compressed air to remove any dust. When using the can of compressed air keep it upright and keep the nozzle at least 10cm away from the machine, aimed in such a way that it blows debris out of the computer, away from crevices, rather than pushing it even further in. If you invert the can it can let out liquid which can damage the computer. Use short bursts of air rather than a steady blast. I usually give the can a blast away from the computer first to get rid of any moisture in the nozzle. Next, you will need to get the dust out from the CPU heatsink, just below the CPU fan. Angle the nozzle low and facing towards the back of the case and you should get most of the dust out from between the aluminum grills. Blow compressed air around all of the components and along the bottom of the case, and blow air into the power supply box and into the fan (again be careful with fans – use that pencil to stop the fan spinning when you use the compressed air). Lastly, blow air into the CD or DVD drives, but not too aggressively. Wipe the inside of the cover with a lightly moistened cloth, and dry it fully before replacing the cover. 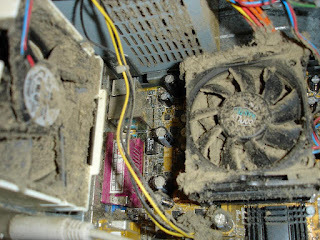 You need to clean the inside of your computer about every six to eight months. However, if your computer sits on the floor, or if you have a dog or cat that sheds, or if you smoke, you’ll need to do it about every three months. Run a cotton swab dipped in rubbing alcohol around all of the openings on the outside of your case. Do this whenever you clean the inside of your computer. 1. Turn the keyboard upside down and gently shake it. Most of the crumbs and dust will fall out. 2. Wipe the keys using anti-bacterial wipes or a cloth dipped in rubbing alcohol. Wipe around the outside of each key and the tops of the keys. 3. Use a can of compressed air to blow between the keys to get rid of any stubborn bits. The procedure is the same for a laptop, but be extra careful - treat it very gently – it’s easy to replace a keyboard that’s attached to your desktop computer, but not if it’s part of your laptop. 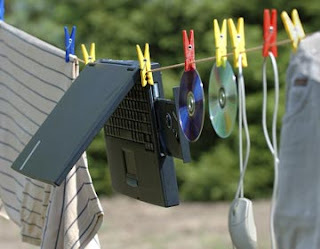 You should wipe your laptop’s touchpad with the same cloth you use for the keys. Clean your keyboard once a month. Disconnect the mouse from your computer. Rub the top and bottom of your mouse with a cloth dipped in rubbing alcohol. Ensure that no lint or other debris obscures the light-emitting lens on the underside of the mouse. Clean your mouse once a month. For LCD monitors and laptop screens, you need a lint-free cloth and some cleaning fluid that won’t damage the screen’s TFT coating. Don’t use normal household cleaning products, especially not glass cleaner – they can damage the screen. You can buy special screen wipes (Fellowes Virashield $20.50 from Officeworks) or just slightly moisten a soft, lint-free or microfibre cloth with plain water. Don’t use paper towels, they can scratch monitor surfaces. Clean your monitor once a week. Finally, make sure that everything is dry before you plug your computer back in. This won’t stop dust forming, but it can slow down the process. 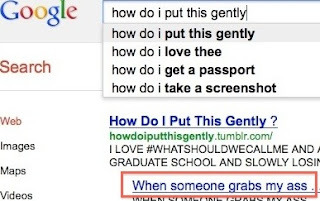 Have you ever noticed the suggestions that appear when you search in Google. 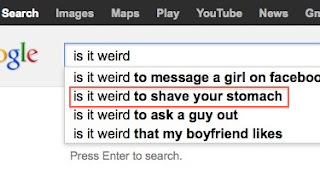 You know, you start typing your search criteria, and a list appears as Google tries to determine what you are searching for. 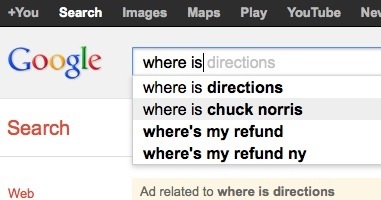 Have you ever wondered where it gets those suggestions from? 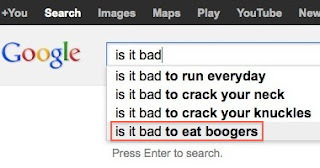 Google bases these suggestions on what you have searched for previously, as well as what other people, all over the world, are searching for. I’ve just been reading about a recent experiment that showed just what odd things people search for. 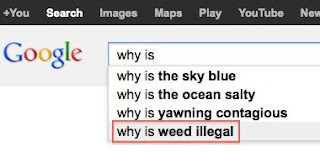 In order to show the top five searches worldwide a new computer was used, so that there were no previous searches for Google to try to use to tailor the search results. Have a go yourself, just type in a few words and see what appears. 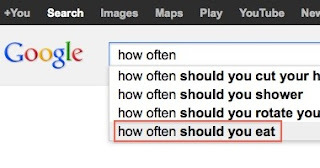 The search results based on your previous searches will appear at the top, but if you wait, the most popular searches should appear below. Microsoft has just announced that their new Operating System – Windows 8 – should be available for sale to the public at the end of October this year. That doesn’t mean you need to go out and buy a new computer, but if you are shopping for a new computer at this time, it means you have a few things to consider….. If it’s a new computer you need, not the new operating system, you’ll be able to get a great deal. Retailers are going to be selling off their current Windows 7 computers at great prices to get rid of old stock before the new Windows 8 computers are released; and if you buy a new Windows 7 computer now, you’ll be able to download the upgrade to Windows 8 for just $14.99 up until 31 January 2013, if you want to. What if you don’t need a new computer? Just because Microsoft releases a new Operating System doesn’t mean there’s anything wrong with what you’re using now and definitely doesn’t mean you have to upgrade. There are still plenty of people happily using Windows XP, which was originally released back in 2001. As at June 2012, 26% of all computer users are still using XP, 3% on Vista, and 53% on Windows 7 (8.6% on Mac). What if you like the idea of having the latest thing, but don't need a new computer? If you already have a Windows computer running XP, Vista, or Windows 7 you’ll be able to download an upgrade to Windows 8 for $39.99 up until 31 January 2013 – subject to the technical specifications of your computer being suitable for Windows 8. But can your computer be upgraded? If you have an older PC, running XP or Vista, your computer hardware may not be capable of running Windows 8. 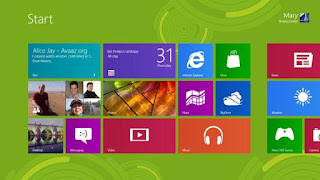 Windows 8 has two parts to it – the normal Windows interface that isn’t much changed from Windows 7, and a completely new design – called Metro. Even if your hardware is capable of being upgraded to Windows 8, the Metro interface has been designed for touchscreens, touchpads and touch mice that support gestures, without which you won’t be able to experience the full Windows 8 functionality. Touch screens have been around for a while so you may already have one, and if you have a desktop computer you can easily replace your current monitor with a touch screen. But if you’ve got a laptop it’s not an option, unless you attach a separate touch screen monitor – which sort of defeats the portability purpose of having a laptop! However, as long as your laptop is running Windows 7 you can add a Microsoft Touch Mouse for around $30, so you will be able to use Windows 8’s Metro. What would I do if I knew I was going to buy a new computer in the next few months? I would buy a Windows 7 computer knowing I was getting a great deal on the price before Windows 8 is released. If you’re not worried about having the latest, brand new techie thing, it’s usually better to get the last version of a known and trusted operating system, rather than the first release of a completely new one. I’d recommend waiting until any glitches have been detected and fixed before jumping in to Windows 8. If I was hearing good things about it I would then take advantage of the $14.99 offer to upgrade to Windows 8 before the end of January 2013. 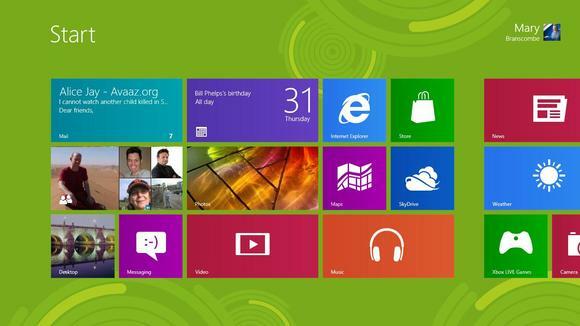 Now that we have a more definite release date, I’ll be posting more about Windows 8 and its features. If you’ve been trying the preview that was released last September I’d love to hear what you think about it. After my last post I’ve had some requests for more information about Instagram for those who have never used it. This is one of the best videos I’ve found; it really explains it step by step. Even if you’ve been using Instagram for a while you still might find some extra features that you didn’t know about. If you’ve been using Instagram for a while you’ve probably got quite a collection of photos stored in the Instagram ‘cloud’. Not long ago Instagram had a server crash and that could happen again – what if you lost your photos? Just go to Instaport.me, sign in with your Instagram login and you can download your entire Instagram history as a .zip file. You then have a copy on your own computer, and you can then back it up as you would your normal photos (and I hope you are backing up your photos!). There’s some extra download features too – one of them lets you download all the photos you’ve liked over a set period, which means you could take copies of your friends’ best photos too. Send postcards of your Instagram photos from your phone with Postagram. Just download the app from iTunes or the Google Play store. 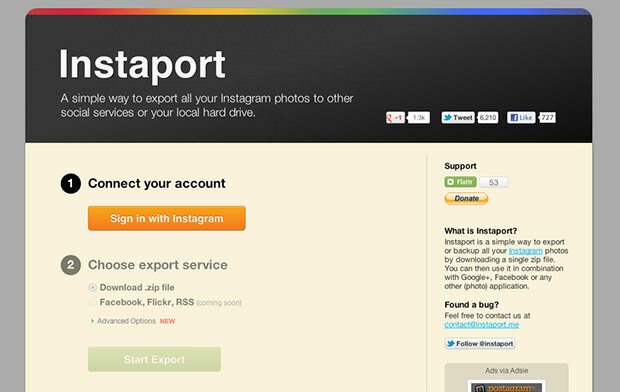 Create a collage for your Facebook cover photo using your Instagram photos with InstaCover. Create magnets from your Instagram photos at www.stickygram.com. $14.99 for a pack of 9 magnets, shipped from the UK to anywhere in the world for free. Create a t-shirt featuring a mosaic of your favourite Instagram photos at Instamaker. They also do mugs, necklaces, and postcards. 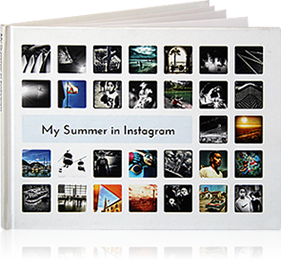 At Keepsy you can create photobooks and calendars from your Instagram and Facebook photos. There’s an iPhone app coming soon, but until then just visit their website.